Here in Alaska, Deaf Navigation Program provides resources and services to deaf and hard of hearing Alaskans to have a better standard of living. If you want help deaf people hear better, enroll with hearing aid specialist licensing program. Do you know approximately 12% of Americans suffer from hearing loss? You will be surprised to know that with the passing day of everyone’s prestigious life, the hearing loss grades go from 25-40 dB to 80 dB by the age of late 80s. Life is full of sounds; however, hearing them can be a big challenge for some. Want to make a difference in people’s lives? How about acquiring hearing aid specialist licensing here in Alaska? By becoming a licensed practitioner, you can help people listen to every sound. A new study conducted by University of Washington School of Public Health in partnership with Alaska Sea Grant found that Alaska Fishermen are at a significantly higher rate of acquiring health problems including noise-induced hearing loss, fatigue associated with sleep apnea, and upper extremity disorders. As a hearing aid instrument specialist, you help people of all age groups to hear. Hearing Aid Academy offers online hearing aid dispensing career training to prepare you to pass a written competency exam, the International Licensing Exam (ILE) for hearing health professionals administered by the International Hearing Society (IHS). As a 100% online program, Hearing Aid Academy provide you with resources to pass the state licensing exam here in Alaska. We are proud to offer 100% online and self-paced hearing aid specialist licensing program here in Alaska. Be your own teacher and work full time while managing your studies according to your work schedule. Even if you work non-traditional hours, you can still study while continuing your job, or looking after your family. Advancement in career depends on your education. By passing the heating aid specialist exam, you can quit your job and work for your own self. No schedule, no boss and convenient work timings. Now you can become a qualified hearing aid specialist within 12 weeks. This program offers you the convenience to control of the progress that you made and learn at your pace. Online education cost less than the traditional education setting. While a traditional college can charge thousands of dollars, HAA online program will cost you a lot less. We also provide financial assistance to students who qualify. The HAA hearing aid specialist licensing program in Alaska is a globally recognized certification. So, you can start working as soon as you complete the online course. So here’s an opportunity to save money while enjoying the flexibility that comes with it. For instance, there’s no commuting fee, no need to spend money on textbooks as all the education material is available online. Moreover, financial assistance is also provided to those who qualify. To qualify as a hearing aid specialist, applicants must first pass a written and practical competency exam administered by the International Hearing Society (IHS). Having access to an online resource such as the Alaska hearing aid specialist licensing program, gives you the freedom to access the study material anywhere anytime. Revisit the modules to clear your doubts, if you have any. It is much easier to access HAA knowledgeable instructors with more than three decades of experience to clear your doubts. We have a complete and comprehensive program, a great track record of success, and can help you pass the license exam. 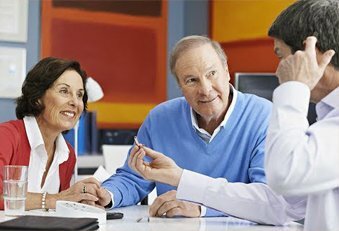 The hearing aid industry is growing. This growth is expected due to increasing deafness resulting from genetic factors, birth complications, increased noise pollution levels, and other factors. Do you know there are 5 jobs (Miracle-Ear, Beltone, Costco, Walgreens, and CVS Pharmacies) for every hearing aid specialist? Online hearing aid specialist education has evolved a lot in the last few years. Online programs give individuals an opportunity to complete their course according to their convenience and comfort. With the aging population at a greater risk of suffering from hearing loss problem, you can help them hear. Enroll in the 100% online self-paced program and become a hearing aid specialist in less than 12 weeks. Founded in 2007, the Hearing Aid Academy offers comprehensive yet advanced online education to people who want to clear their state-level hearing specialist exam. Every state in the U.S.A. follows the IHS standard teachings for the written and practical exam. Therefore, it is imperative to get familiar with what your state requires. If you want, we can help you with that too. International Hearing Society (IHS) governs the state licensing exams. Well-curated Hearing Aid Academy’s hearing aid specialist licensing educational course is designed to help you pass the licensing exam here in Alaska. This online course can be completed within 3 to 6 months. Our hearing aid specialist educational program features more than 100 hours of video training divided into 31 modules. So set your schedule and study anywhere anytime. You just need to have a laptop and a working internet connection. The Alaska hearing aid specialist licensing program does not charge any hidden costs. You can pay for the course in easy monthly installments starting as low as $199. Moreover, the program is backed by a 100% money back guarantee.